Cercles offers a simple and very flexible way to manage your contacts via web and mobile app. 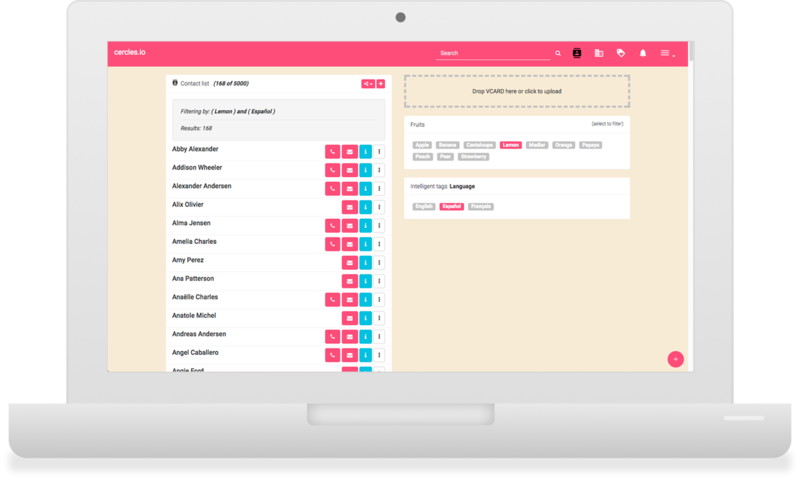 Manage your contacts without any distraction of methodologies for sale, analysis, tasks, etc. Designed to integrate well with newsletters aplications, Cercles offers you maximum flexibility to tagging and export contact lists. Quick access to the information, without login and consultable in web and mobile app. Import contact information from other platforms, Excel, CSV or VCards. 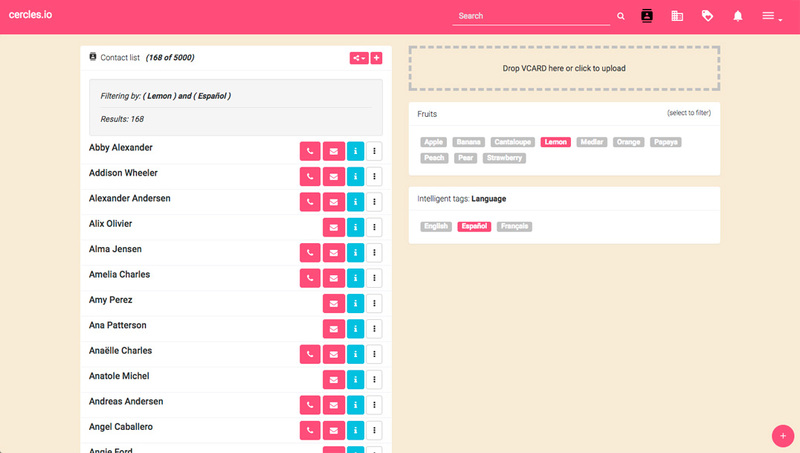 Export categorized contact lists to other platforms, Excel, CSV or VCards. Organize your contacts with labels and create families of labels for accurate filtering. Integrates contacts with the web, e-commerce, Mailchimp or any other e-mailing system through the API offered by Cercles. An advanced semantic search engine that will help you find contacts by searching for all fields. Sign up without any commitment and start using Cercles for free. Errors have been detected on the form, please review it.